Our heavy duty scales measure fish up to 660 lbs and include a heavy duty stainless steel hanging hook as well as a D shackle and operate on 2 AAA batteries (included). 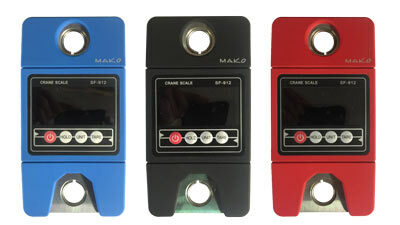 Our MAKO Spearguns Spearfishing Scales are available as Certified or Uncertified, and are perfect for travel. These fish weighing scales have a measurement accuracy of better than 0.2% full scale and feature keypad operation with an easy to read LCD display that indicates measured values in either pounds (lbs) or Kilograms (kg). You may add accessories and tare out their weight. The operation is simple using the integral membrane style keypad. 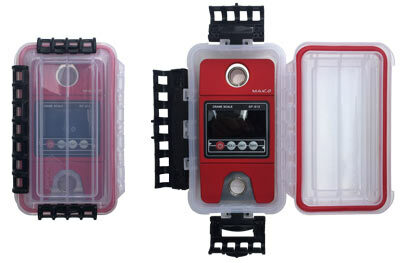 Also available is the optional waterproof box with mesh bag. These optional accessories separate the stainless steel parts from the digital scale and provide waterproof and crushproof protection, while keeping the entire kit handy and readily accessible for storage and travel…..highly recommended. Our Spearfishing Scale is available in red, blue, or black colors. Going for a record setting fish? You'll definitely want to be sure that your scale is certified (and that your certification is current). If you select the CERTIFIED SCALE UPGRADE, you will be shipped a scale that has been INDIVIDUALLY calibrated by an independent laboratory. 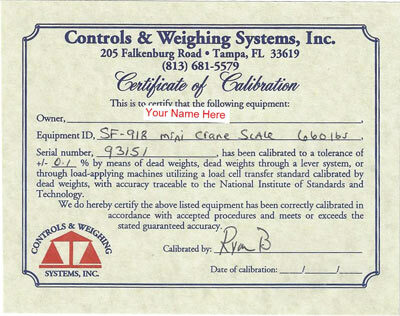 Each Certified/Calibrated scale comes with a unique "CERTIFICATE OF CALIBRATION" that lists YOUR NAME as well as the unique serial number of the scale you purchased. 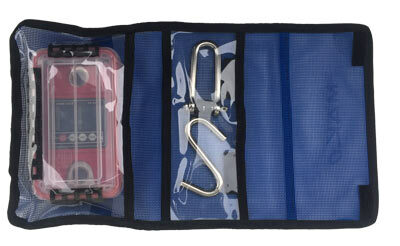 Also available is the optional waterproof box with mesh bag travel kit. 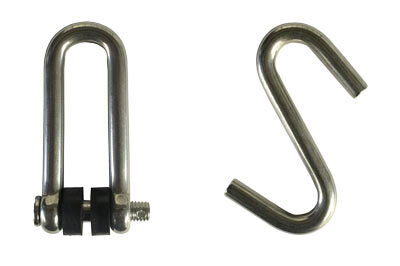 These optional accessories separate the stainless steel parts from the electronic scale and provide waterproof and crushproof protection for the scale, while keeping the entire kit handy and readily accessible for storage and travel…..highly recommended while traveling or out on the boat. Not sure a out this one. It may be fine. On a 5 pound Sea Pearl, it registered 4.6 lbs. The instructions appear to be from China and are mostly worthless. I looked online about calibration and did not figure it out w/ about a 20 min effort. It registers up to something like 300 LBS. Don't remember off the top, but way heavier than anything I am shooting in the gulf. The battery it came with, at least I am hoping it's the battery, was on the fritz on the first day on the boat. AA or AAA, so no big deal to replace, but it's hard to give a complete review just yet. I am only doing so at Dano's request. Truth is that the scale is probably fine. For the money, I am OK with it. nice looking and big display. When I received the scale, I noticed the screen had a small scratch, and the certificate expired in 3 months, I notified you guys, and you offered to exchange the scale, but I would have to wait for a " new batch of certified scales". I opted to to keep mine because I needed it for a trip and and I guess I could live with the scratched lense.